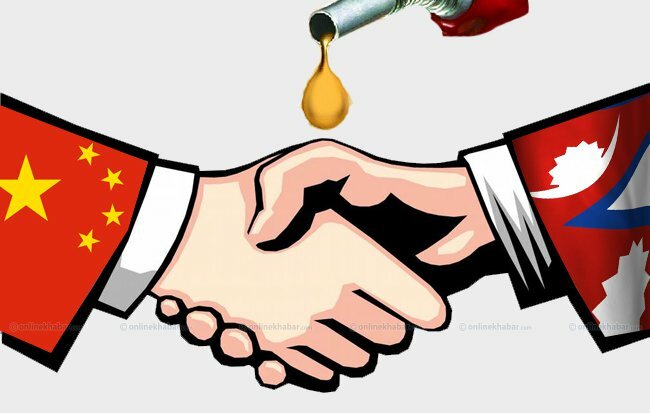 A team of Chinese experts is coming to Nepal in order to explore the country’s potential of extracting petroleum products. Officials of the two countries signed an agreement in this regard at a function in Beijing on Thursday. The two countries had signed an initial agreement in this regard around three years ago. However, nothing has been done after that. The Thursday agreement is expected to begin actual works on the site as the Chinese team has agreed to come to Nepal within next one month for a survey, according to Ram Prasad Ghimire, Deputy Director General at the Department of Mine and Geology. He informs that the team will visit identified locations of Palpa, Dailekh and Surkhet districts. A Nepali team led by the Department chif Som Nath Sapkota is currently in China for a meeting with Chinese counterparts. The team signed the agreement with China Geological Survey. The CGS is considered one of the excellent oil mining institutions of the world.